That was fast. 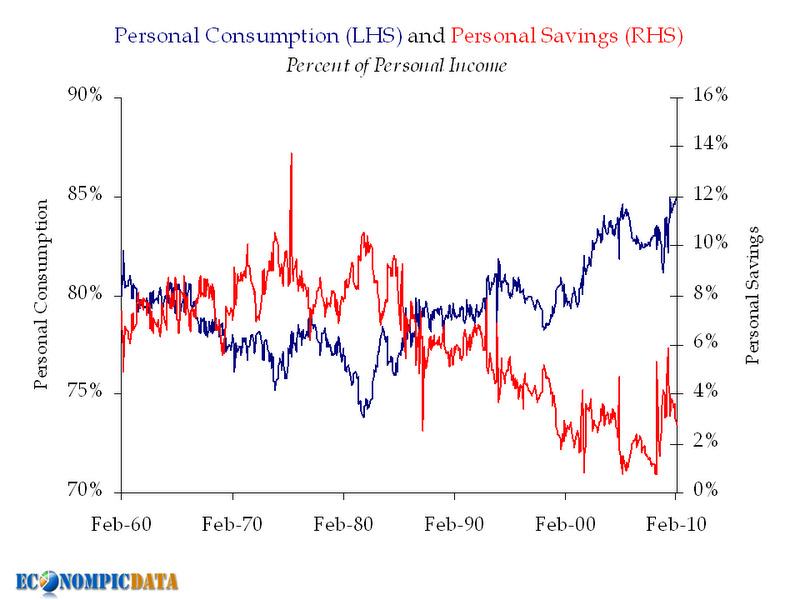 Econompic highlights how Americans are back to their old ways of spending more of their income and saving less. Even when hit by one of the worst crisis in decades, Americans only retrench momentarily, then continue consuming. 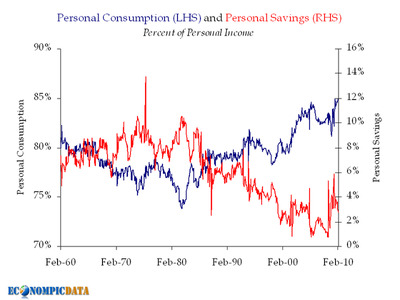 Savings rates are falling back to mid-2000 levels, while consumption rates are exploding to new highs. 0% interest rates aren’t a great inducement to save. Thus the story is probably some combination of allergy and policymaker not letting Americans save, even if they want to.